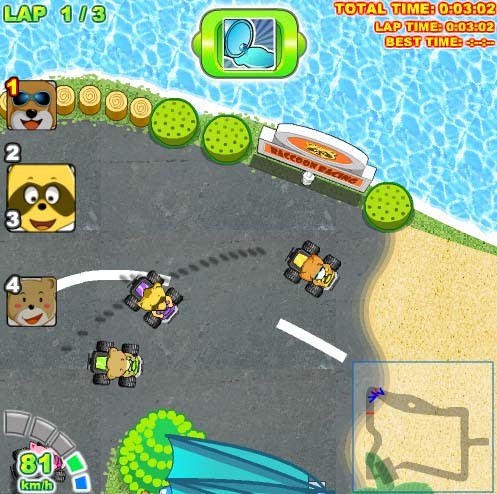 Description A funny topview racing game from Agame. Race over eight different tracks, some on land with a kart, some on the water with a speedboat. Controls Use weapons and power ups to slow down your opponents. Fun and well drawn multi-vehicle racer.